Beijing's problem: to reduce its emissions of NOx (oxides of nitrogen) from boilers for public health. Strict limits on NOx emissions from boilers were introduced to fight smog in Beijing. Dr. Gregory Zdaniuk, Joel Moreau and Lu Liu are looking into the use of wet combustion, topic evoked for a long time on Econologie.com in particular via the works of Rémi Guillet who publishes his ideas and works regularly. China's very rapid industrial growth has led to significant levels of air pollution, which of course impacts on the health of the Chinese, in the big cities especially and for many years! The causes are road traffic, the coal industries and the heating of buildings. The Beijing Municipality wants to improve the air quality and is at the forefront of the fight against air pollution. It is making great efforts to address this, including banning new coal installations, limiting traffic and applying new technologies to improve combustion and reduce NOx in particular. The wet combustion is one of these techniques of the future! Since the 1er April 2017, facilities must meet NOx limits for new and existing gas boilers, which are even higher (!!) standards of the European Union. The municipality has also put in place incentives to reduce NOx emissions from gas boilers; therefore, 1 500 boilers have been changed to 2016. 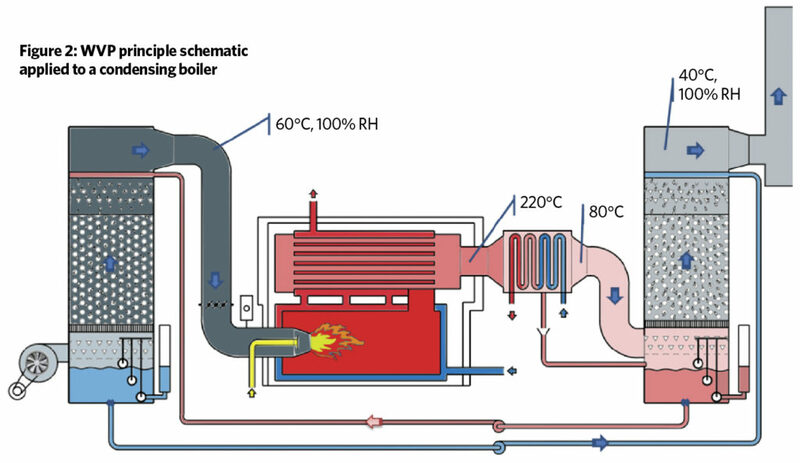 The reduction of NOx in boilers is possible in injecting water or steam into the flame zone ; this is what uses and wants to develop Beijing, using a system developed in Europe during 15 last years especially on the work of Rémi Guillet. The post-treatment methods for example, the selective catalytic reduction SCR or selective non-catalytic reduction - treat NOx emissions after training. Combustion control techniques prevent the formation of NOx. 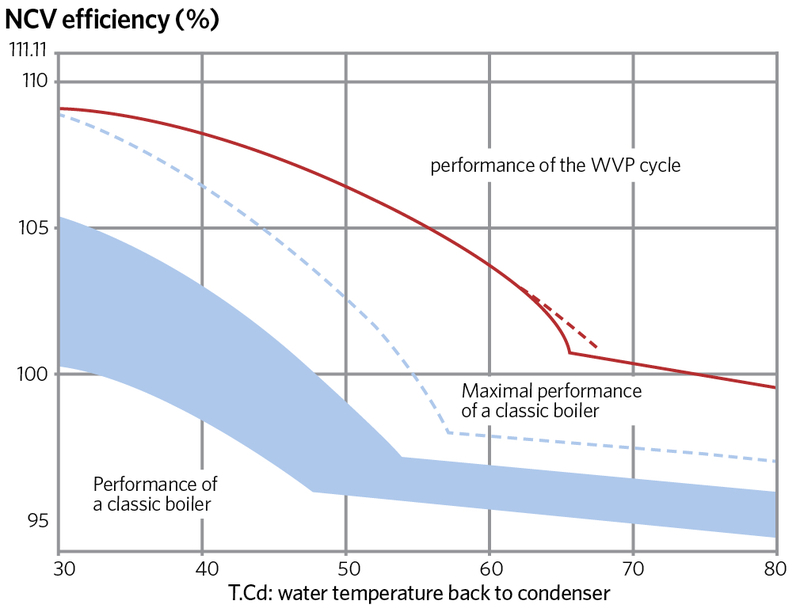 Post-treatment methods tend to be more expensive and are generally not used on boilers below 10 MW. In accordance with the Air Pollutant Releases Standard for Boilers (DB11 / 139-2015), new facilities and coal-to-gas NOx limit of 30mg / Nm3 , while existing installations have a limit of 80mg / Nm3. In comparison here in Europe, the equivalent NOx limit set by the European Directive is 100 mg NOx / Nm3... it's 3 times more than in China! In addition to strict legal limits, Beijing has put in place an economic incentive program to reduce NOx for existing gas boilers. Renovation projects are rewarded according to the amount of NOx they save. 1 500 gas boilers have been modified to 2016. In 2017, Beijing modified the 7 GW equivalent of cumulative gas boiler thermal power, or about the thermal power of 2 nuclear reactors! The challenge for engineers is to lower the flame temperature while maintaining flame stability and boiler efficiency. Security is also critical, especially when it comes to EGR, because of the risk of explosion of carbon monoxide (CO) potential present in the exhaust! The injection of water or steam causes the modification of the stoichiometry (the quantitative relationship between oxidant and oxidized) - and therefore the temperature of the adiabatic flame - of the air-fuel mixture. The addition of water also "scatters" the calories generated by the combustion. 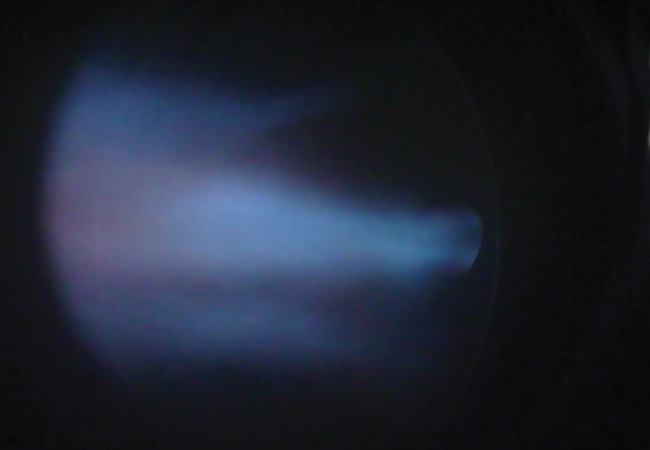 Both phenomena cause a decrease in the combustion temperature - the color of the logically blue gas flame becomes substantially orange-yellow. 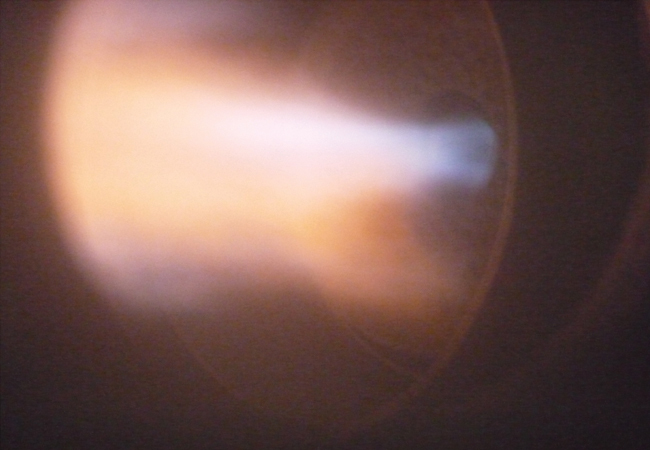 If the temperature of the flame is sufficiently reduced, the NOx will almost no longer form and the thermal performance of the boiler will be preserved. As the dew point of the combustion gases entering the condenser is, of course, increased (from ~ 58 ° C in the case of a regular combustion at ~ 68 ° C in the case of wet combustion), much more latent heat is recovered in the condenser. This compared to an ordinary condensing boiler operating at the same starting and return water temperatures. 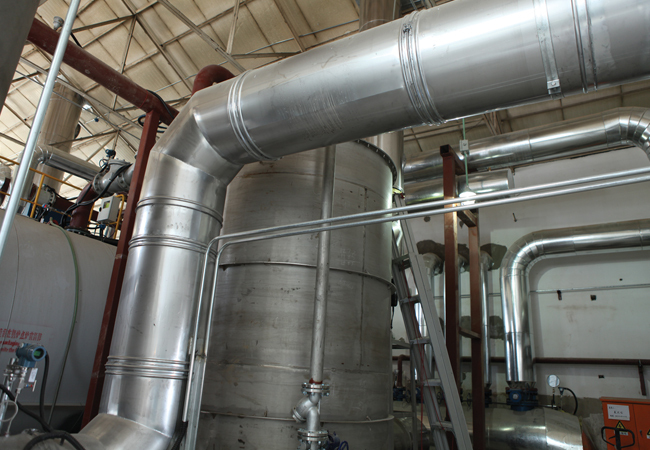 In addition, the additional heat recovery that occurs in the exhaust spray tower cools the flue gases at much lower temperatures than an ordinary boiler. As a result, the system PAVE is much more efficient than an ordinary condensing boiler. The PAVE system is characterized by very low flame temperatures, so it is able to achieve very low NOx production. The limit of 30mg / Nm3 is easily reached as long as the combustion air is preheated to 60 ° C and set at an optimum temperature. On the other hand, low NOx and very low NOx "dry" burners can achieve comparable levels of NOx emissions only by using a high proportion of EGR and, potentially, oversized combustion chambers. In a conventional combustion system (with atmospheric air), reducing the flame temperature below a certain temperature can lead to the formation of CO but this is not the case for a PAVE boiler that burns natural gas therefore a fuel that a priori easily accesses its complete combustion. Moreover, the performance of the PAVE cycle is neither inclined to bring down the combustion temperature so low by means of too much water recycling nor even to reduce the level of O2 in the oxidant by the same means: and the risk of CO formation is a priori eliminated by the PAVE cycle. During the last 15 years, the company ICCS deployed the PAVE system in several European countries, mainly in France, but also in Germany and Italy. As the NOx limits are less stringent in Europe, the system is installed as energy saving measure. In 2016, Beijing United Gas Engineering and Technology has obtained a contract from a university in Beijing to renew its boiler. It involved changing the coal boiler and installing a new gas system. It was decided to set up the PAVE system in China for the first time. The system includes two 5,6 MW condensing gas boilers each to heat the campus on about 160 000 m2 heating surface. The system has been sized for 200000 m2 capacity in anticipation of future expansion work. The heat distribution network is designed for a flow and return temperature of 70 ° C / 50 ° C. All terminal units are controlled by three-way valves, which makes the return temperature variable. Only one of the 2 boiler is equipped for the moment in PAVE, the second boiler is equipped with a standard burner with low NOx emission. This will allow for comparative tests over time. Commissioning was made in March 2017, NOx emissions being tested at 23 mg / Nm3 (corrected to 3,5% O2), well below the limit of 30 mg / Nm3. The overall efficiency of the boiler was 107% - at a return temperature of 45 ° C and CO emissions were measured at 0 mg / Nm3! 2 comments on "Pollution: Wet combustion in Beijing to fight SMOG, NOx and CO"
For information, a XECUM MW PAVE built by CIEC is being installed at the University of Leuven in Belgium. It will be put into service in March 2018.